The PRO1219 sends Component (YPbPr) video signals over long distances using economical CAT5 cable allowing you to distribute video and sound easily and efficiently. Simply connect your video source (eg. 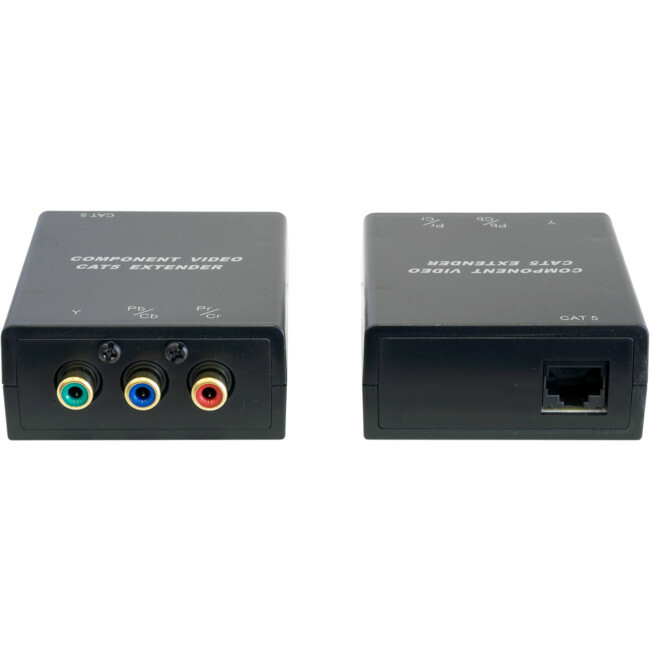 DVD player) to one module using 3x RCA cables, and 3x RCA cables to the other module to connect to your TV and hook up the modules using asingle CAT5 cable. No power supply required.